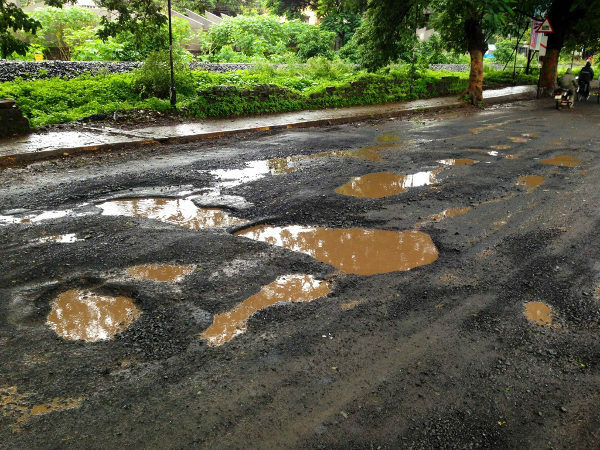 Citizens of Belgaum will have suffer the pothole mania for some more time as no contractor submitted their tenders for the filling up of potholes sighting reasons that the corporation is yet to pay them their previous dues upto the extent of Rs.6 crores. Yesterday was the last day for submitting the tenders for filling of potholes in various areas of the city but the contractors denied doing so as they want their previous due to be cleared. A few bills pending date upto to two years ago and the corporation has not issued payment citing various reasons. The corporation commissioner on many occasions had promised that all pending bills would be settled but the deadline is over and still no payments have been issued. Cement roads in entire city would be a wise option but cares for the city every body busy filling their pockets. I was travel on the Dr. Ambedkar road (chennamma to Ramdev) i could not respire properly nor could i open my eyes properly because of the dust. Past dues should NOT be given to the contractor as the quality of work is very poor in this case. Workers yesterday were filling potholes near Gogte circle.